The Phoenix heater and ventilator was designed by professionals. 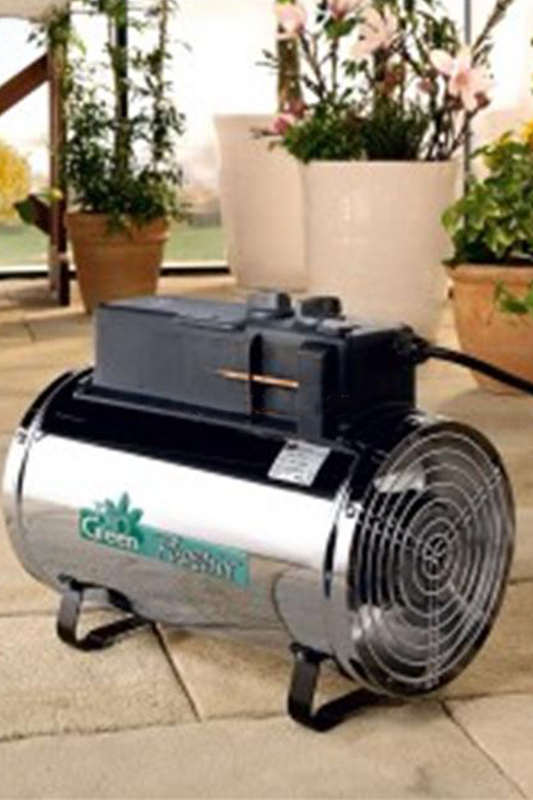 This 2 in 1 superior stainless steel heater is ideally suited for use in the greenhouse or conservatory, thanks to its quiet, smooth running, powerful fan. The heater can either be floor mounted using the two Floor brackets provided, or it can hang from the apex of the greenhouse using the hanging chains. The power selector switch gives you 3 heat output options- 1.0 kW, 1.8 kW or 2.8 kW. The very accurate thermostat has a range of 0-26 °C which is suitable for most growing Applications.